How Do You Get Legally Separated in Massachusetts? How Do I Get Legally Separated in Massachusetts? 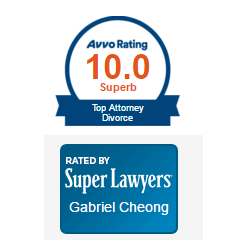 People often call our offices to discuss legal separation rather than ending a marriage. People’s reasons for seeking to take this intermediary step vary. Sometimes, they are familiar with the divorce laws of another jurisdiction, that require someone to be legally separated for some period of time before they can seek divorce. For instance, Ireland requires people to be legally separated for a period of three years before they can obtain a divorce. Other times, people are not ready to end their marriage, but need financial support from a spouse that is no longer living with them. Massachusetts does not have “legal separation”, but does offer a similar action for what is known as “separate support”. An action for separate support allows spouses to get orders concerning certain issues without ending their marriage. Specifically, in an action for separate support, spouses can ask for a determination of who will continue living in the marital home (if necessary), as well as orders concerning child support, a parenting plan, and/or alimony. A court cannot divide assets or terminate a marriage through an action for separate support. Lawyers and court staff will often suggest that if a person is filing for separate support, they may want to consider filing for divorce instead. There are a variety of reasons of this, including but not limited to the fact that those who file for separate support often ultimately end up filing for divorce. Filing for separate support first is often a waste of funds (there are filing fees from the courts, attorney bills, etc.) and time. ← How Much Would Alimony Be in Massachusetts?